For the top strikers in the English game, the Golden Boot is the one, single award that recognizes their goal-scoring ability. It’s awarded to the forward with the most league goals over the course of the season, and after the PFA Player of the Year, is one of the most coveted individual accolades. This season the market is headed by Sergio Aguero and Diego Costa, who have both shown brilliant early form for Manchester City and Chelsea respectively, but with an each-way chance on the first three in the scoring charts that leaves the door open for an outsider at a big price. Aguero has started this season with a bang, amassing 14 goals already, and looks to be well on the way to yet another storming season. He only managed 17 in total last year in a campaign ravaged by injury, and if he stays fit throughout the season, he has every chance of winning the Golden Boot for the first time. However, he departed the pitch after seven minutes against Everton at the Etihad on Saturday, and the tears in his eyes as he left the field told a sad story. The early news is that Man. City hope he will only miss a month, but it has to be a major concern. He’s probably the most talented forward in the Premier League right now, but his career has stalled for the last few seasons thanks to a succession of niggling injuries. If Man. City progress in the Champions League, they will want to wrap the lad in cotton wool for the rest of the season, and he may not play every game in the league – even when he’s fully fit again. He has a big headstart with those 14, but there are enough doubts to make it worth taking him on. He’s yet to win this award in three seasons with City – his best return was in his first season in 2011/12, when he netted 23 goals. Costa has already bagged 11 after a cracking start to his Chelsea career, and the bookies make him favourite to overtake the diminutive Argentinian. He is bidding to become the first Chelsea striker to win the Golden Boot since Didier Drogba took the award in 2009/10 – the last time Chelsea won the Premier league. He has played most of Chelsea’s league games this year, but notably has already missed three of the fifteen they’ve played so far. He could be another victim of being saved for the Champions League, and in Drogba and Remy, the Blues have quality in reserve if Mourinho elects to rest him at crucial times this season. He has been substituted 8 times in the 12 that he’s played this year, so there is clearly a policy of protection surrounding the Spanish striker. He makes a worthy favourite, bearing in mind Aguero’s injury problems, but a lack of game time in the league might limit his chances. He’s certainly not an odds-on shot at this stage. Third in the betting, with 9 goals so far this season, is Alexis Sanchez. He’s made a huge difference to Arsenal this year, and it would be fair to say he’s carried them in several games already this season. Arsenal have fallen off the pace, as they often do, and that means that Sanchez is likely to play the majority of games as the Gunners will need the points to retain their top four position. He’s similar to Aguero in many ways, and does look a class apart in the Arsenal side. Skybet offer 1/3 of the odds for a top two finish, where Bet Victor offer 1/5 of the odds for a top three finish. If Sanchez is your fancy, it may be better to take the slightly lesser odds with Bet Victor to guarantee a return if he finishes 3rd. Rooney is some way behind the top three in goals – he only has five in ten games so far this season – but he makes plenty of appeal as an each-way shot. Man. United have no European football to distract them this season, and having been given the captain’s armband, Rooney looks nailed on to start every game when he’s fit. He’s never won this award, but he finished joint fourth last season, and has twice finished 2nd in 2009/10 and 2011/12. Man United’s recent upturn in form has coincided with Rooney’s; he’s scored in each of his last two league games, and has also been finding the net regularly for England. With Bet Victor offering 1/5 of the odds on a top three place, it’s effectively 10/1 11.00 +1000 10.00 10.00 -0.10 on Rooney finishing in the first three. Each of the above players has had a good start to the season, but an astonishing statistic is that the top three in the scoring charts over the last seven seasons have all come from top four clubs. The only exceptions since the 2007/2008 season have been Gareth Bale (Spurs) and Darren Bent (Sunderland). That suggests that to reach the 20+ goals required to achieve a top three spot in the scoring charts, playing for a top four side is a distinct advantage. Alexis Sanchez is the obvious danger, and Rooney’s teammate Van Persie could also be another lively outsider. The doubts over Aguero’s injury record make him difficult to back in this market. If he stays fit there’s every chance he wins it, but he can’t be backed confidently. Equally Diego Costa’s contribution to Chelsea’s title challenge could be fleeting next year if he’s saved for Champions League games, and he also represents a lack of value, despite showing good early season form. 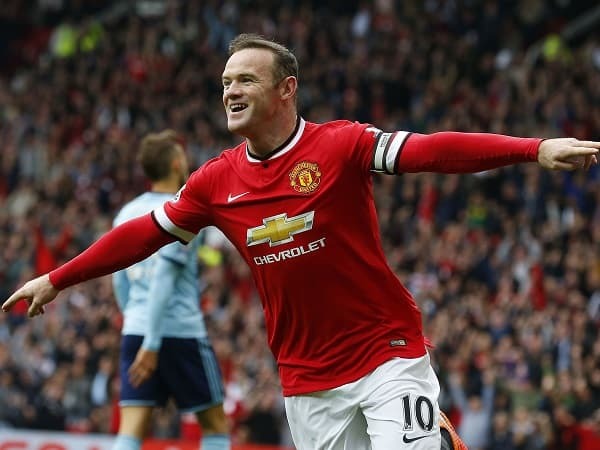 Rooney represents a cracking value bet here at a very big price. He’s just coming back to form, and Man. Utd look to be getting better and better under Louis Van Gaal. Rooney’s position as captain virtually guarantees him starts in the Premier League, and if he can catch Sanchez he’ll have every chance of finishing at least third in the scoring charts.